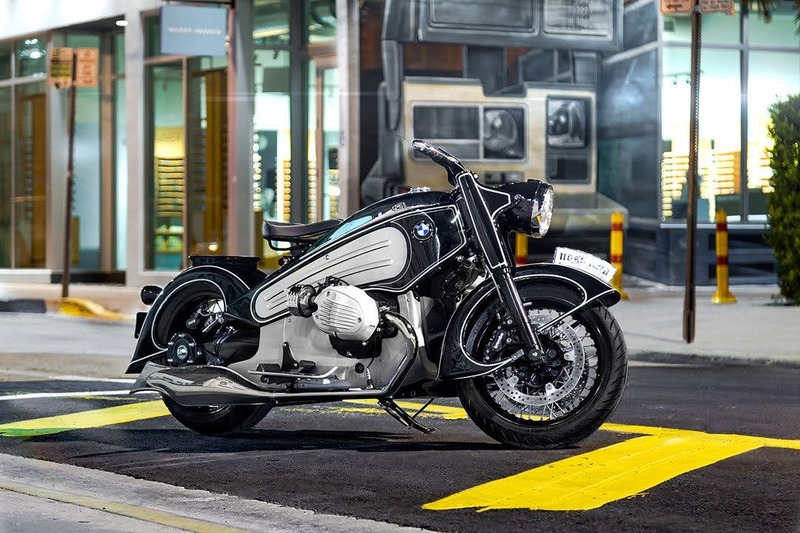 Miami custom tuner Nmoto has reinvented the iconic 1934 BMW R7. The 1934 R7 is a classic art deco bike revered by motorcycle fans all over the world. But the dedicated fanbase is a contemporary one; the R7 was too expensive a production bike at the time, and never rolled out of the factory. The concept itself didn’t even make a public tour. In fact, the design was kept relatively secret for many years. After its limited exposure in the mid-1930’s, the art deco-style superbike didn’t surface again until it was restored by BMW in 2005. Now it’s the stuff of legend, a wildly unique and very cool design with huge historical import, a collector’s dream. But the model was still unavailable to purchase. That is, until now. Interested drivers can purchase a Project Nostalgia replica build from Nmoto. Nmoto recreated the R7 with a blend of traditional styling and modern machinery, and the result is pretty impressive. The shop based the guts of the modern R7 reproduction on the BMW R NineT platform, including modern brakes and suspension. Additionally, the bike features 96 handmade parts to recreate the R7’s ’30s-era look. NMoto’s Project Nostalgia starts at $49,500. It is available in 11 different color schemes.